Video tour (click here) The "new" NHB! The Great Unconformity: Global Uplift?? JON GOLLA RECEIVES NSF GRADUATE STUDENT FELLOWSHIP! 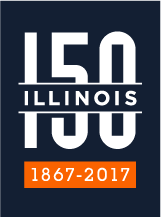 The Department of Geology at the University of Illinois has championed pioneering research and excellent teaching for over a century. We maintain strong programs in many geoscience disciplines, and offer B.S., M.S., and Ph.D. degrees. 1301 W. Green St., Urbana, IL 61801 U.S.A.